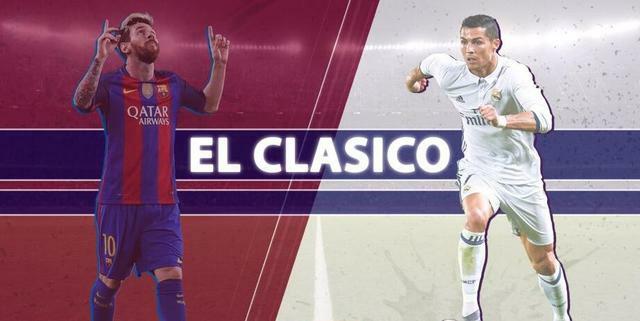 Barcelona on Saturday at the Nou Camp stadium against Real Madrid, the two Golden Globes will once again face to face, Messi will continue to break the 5-long national derby ball shortage, and C Luo will impact the club's 500th ball , However, the National Derby Aspect and not only this. La Liga 13 rounds, Barcelona to 27 points in second place, with 6 points behind the leader Real Madrid. So campaign lost, Barcelona will be 9 points behind Real Madrid, which means that Barcelona in the Primera Liga championship battle lost the initiative. Barcelona recent state is not good, has suffered two Lianping, and Enrique coaching, Barcelona has never suffered three Lianping. Last season at the Nou Camp against Real Madrid, Barcelona to 1 to 2 lost, so the campaign once again lost, Enrique will become the first in the history of the Nou Camp 2 consecutive defeat to Real Madrid coach Barcelona. Despite the recent state of poor Barcelona, ​​but Enrique is confident that, "home games, even if it does not matter behind Real Madrid 100 points." 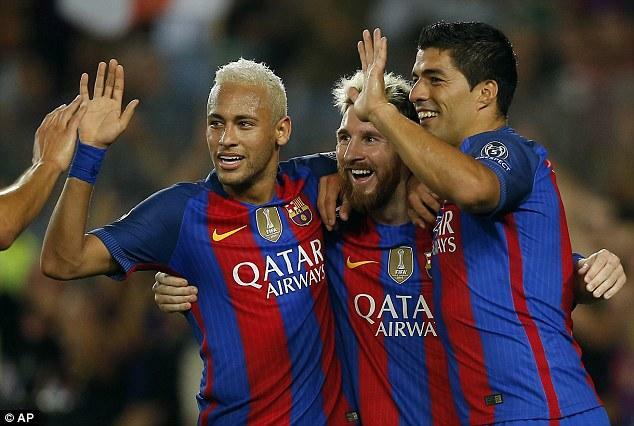 Last season, when the guest Camp Nou, Zinedine Enrique broke the 39 unbeaten record, this season with 32 unbeaten record set off the Camp Nou. If you win again, Zidane will not only maintain this season's unbeaten record, will also cross-season unbeaten record continues to 33 games, the club's longest undefeated record of only a poor field. Similarly, if the Nou Camp to win, Zidane will be following Muñoz after the first in the Nou Camp two straight Real Madrid coach. 4, Messi can break the country Derby ball shortage? In the national derby, Messi to 21 goals in the top scorer in history, followed by 18 goals into the Stefano, Cesar, and C Lo is into the 16 ball. However, Messi nearly 5 times (4 games La Liga, a King's Cup) against Real Madrid are not broke, the last break or in March 24, 2014, Messi at the Bernabeu three shot a pass to help Barcelona to 4 ratio 3 win, the last time in the Nou Camp to break Real Madrid goal is far in October 8, 2012. Whether by virtue of the recent excellent state to break the ball in the national derby drought, Messi's performance worthy of attention. C Lo has been Sporting Lisbon, Manchester United, Real Madrid played 686 times into the 499 ball, if the break in the Nou Camp, Portugal striker club career will be the first 500 balls. If the continuous break Calderon, Nou Camp, C Luo will usher in another peak of his career time. Nearly 5 against Barcelona, ​​C Luo 4 break, the last time in the Nou Camp was zero or in the October 27, 2013, such a campaign scored twice, C Luo will be tied in the national Derby scorer ranked No. Two of the Di Stefano and Cesar two legendary striker. 6, the new aid to the national debut Derby can flash? Ummiti Titi, Kovacic, Paco - Al Kasaier and other players will be the first appearance in the national derby, which back from the Ummiti Di is expected to partner with Pique Zhongwei, and his performance is also Become the key to whether the lock C Luo. This season gradually ranks among the main lineup after the away game against Barcelona became Kovacski end test. And outstanding performance of Ummiti, Kovacs different, Paco has not scored after the ball into Barcelona, ​​Barcelona, ​​if the Real Madrid when the ball into the sub-office, Paco will respond to media questions. 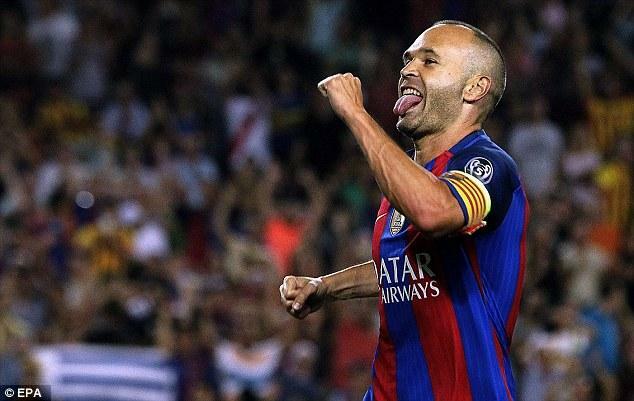 7, Iniesta can save Barcelona? Barcelona's recent poor state, since Iniesta injured on October 22, Barcelona 7 war only made 3 wins, 3 draws and 1 losses results. Barcelona poor performance of the key reason is that the three lines out of line, while Iniesta is the only Barcelona to control the rhythm of the players, but 40 days after the injury, Iniesta whether the resumption of the game Rhythm is still unknown. In the Real Madrid also has a key player back, Casamiro in the week of the King's Cup back, and whether to start in Brazil midfielder Zidane needs to be considered one of the problems. 3 times in a row against Barcelona, ​​Ramos have eaten a yellow card, nearly 7 league games against Barcelona, ​​Ramos 5 times card. March 24, 2014 after the Bernabeu dyed red leave, Ramos has become the country derby sent off the most number of players. Once again faced with MSN, Ramos's performance as a key factor in Real Madrid can win one of the factors.